Happy Women’s Day!/Jodi a nou tout di Jou Ala bon sa bon Fanm! 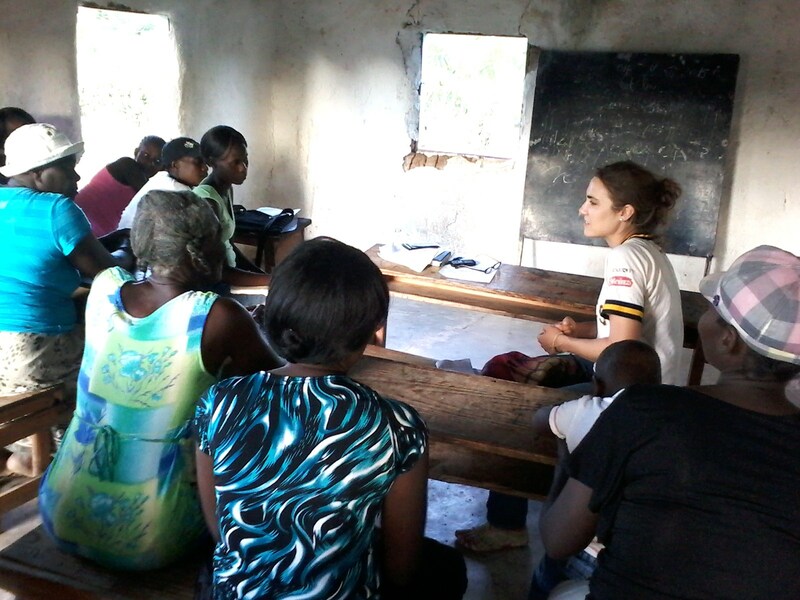 Our colleague Lia ,from the Dominican Republic team, visiting a CAF group in Ouanaminthe in March 2015. Ever since we started our activities, many women working with us directly or indirectly have always played a crucial role in the success of our team. As Gloria Steinem rightly stated “The story of women’s struggle for equality belongs to no single feminist nor to any one organization but to the collective efforts of all who care about human rights“. For this reason we are proud to perceive the protection and empowerment of women worldwide as one of our key goals, and we’d like to wish a happy international women’s day 2015 to every girl and woman in the world.